In this first part of the photo tour, works by 16 artists. 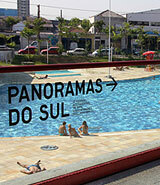 Information and photos of the venue SESC Belenzinho. Works by 23 participants, including the screening room. Works by 25 participants, including several installations. Performances by 5 participants, including "Art Idol" by Aya Eliav & Ofir Feldman. Award ceremony, trophy by Tunga. All photos, texts, translations and other contents on this website are protected by copyright.